← Motivation to get back into it!! Oh my how time flies when your life has been filled with blessings and chaos! Amazing that those two things can coexist at the same time. I will not regale you with tales from our nuthouse but suffice to say they are always good, sometimes lame and never boring. Unless you ask my kids. then there are definitely times where they are bored. We are surviving Home Schooling the older two and the younger two are LOVING public school. I am definitely liking the mixture of both worlds most days. My health has been better than last year but not as good as I want it. I am flopping at the exercise part but that’s no surprise. Eating healthily is coming but Christmastime has thrown me off my game. But overall I am feeling better than my “in my bed, helpless” last year. The Revered, otherwise known as my dear husband, has worked hard and ministering to hearts around these parts as well as preaching the truth at our church. I admire him for all the time he puts in and his dedication towards seeing that his time is spent in ways that fulfill his purpose for being a Follower of Christ. there is so much I could tell you about our lives right now, but I’ll leave it at that. It is the time of year to wish you a MERRY CHRISTMAS and remember that we serve the God who made the Universe and how he came down to live among us. His entry to the world was quiet, humble and without fanfare. He ministered amongst man and healed and restored. He continues to do that to these days through his believers who follow in his footsteps. Happy birthday, To Jesus, who is my friend, my Savior, the One my life is dedicated to. May I love as he loved, pray as he prayed, and see His purposes lived in and through me. Blessings to you all through this Christmas time and see you safe, warm and surrounded by people who love you. (((HUGS))) from our family to yours. 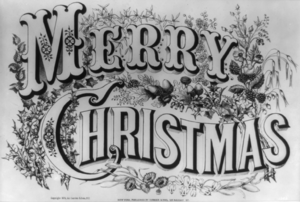 This entry was posted in Christmas, life and tagged Christ, Christianity, Christmas, Christmastime, God, Holiday, Homeschooling, Jesus, MERRY CHRISTMAS, Religion and Spirituality. Bookmark the permalink.